We Specialize in DOT Physical Exams and Drug Testing! Get low pricing and great service with your next DOT Physical Exam at our convenient clinic located at 2806 Mitchell St just one mile off interstate I-30 in Greenville, TX, near the KFC restaurant. We are a collection site for major laboratories including Medtox, Quest, LabCorp, CRL, One Source, ATN, Alere, Sterling, Aegis and Psychmedics. Need a Drug Test Today? No appointment necessary! Just come on in. Worried About Passing Your CDL Physical Exam? Dr. Reinboldt knows how important it is that you continue your livelihood as a commercial driver. We will take the extra steps to keep you on the road. With his extensive knowledge of the DOT Physical exam medical guidelines, Dr. Reinboldt will steer you through the DOT physical exam requirements so you can Keep on Truckin’. Not sure if your medical condition will affect your driving status? Just give us a call before your appointment. We are here to answer your questions. Whether you are just traveling thru Greenville, TX or one of our local drivers, we are here for you! If you’re looking for a DOT physical exam or CDL physical exam in Greenville, Texas? You’ve come to the right place! From IH-30 take North Hwy 34 or Wesley St exit about 1 mile and turn west on Mitchell St by KFC sign. From Hwy 69 take South Wesley St about 1 mile and turn right on Mitchell St at KFC sign. 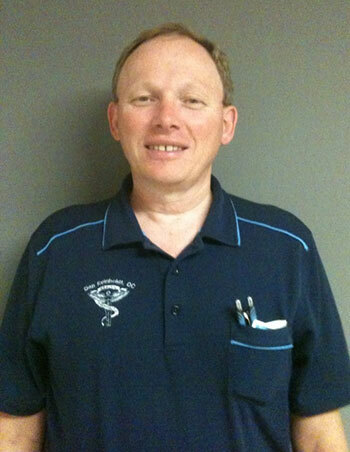 Dr. Reinboldt has been offering occupation testing at our office since 2004. Dr. Reinboldt is an Accredited DOT Breath Alcohol Technician using the Lifeloc Phoenix 6.0 Evidential Breath Tester, an Accredited DOT Urine Collector for drug testing, and a trained collector for hair testing. Our office is also certified in digital fingerprinting for State and Federal through MorphoTrust. Our current clients include trucking firms, individuals, private industry, local school districts and many government entities. We are a preferred provider for E-screen. Pain Relief Center Spatafora Chiroptactic, P.C.